Dental implants are the most natural and comfortable way to replace missing teeth or to stabilize a denture or a partial. Drs. Feck and Combs can restore most any type of implant to natural function, leaving you feeling confident and comfortable with your smile. Numerous types of implants and restorations are available to replace that missing smile. The choice of implant depends on the amount of bone available for implant retention, the patient’s overall health, and the restoration desired by the patient. Drs Feck and Combs will complete a thorough exam to help you choose what type of implant fits your needs. Through constant innovations and research, smaller implants with decreased healing time and less expense have been developed for patients in need of tooth replacement. At Corporate Center Dental Care we offer the minimally invasive mini implant. 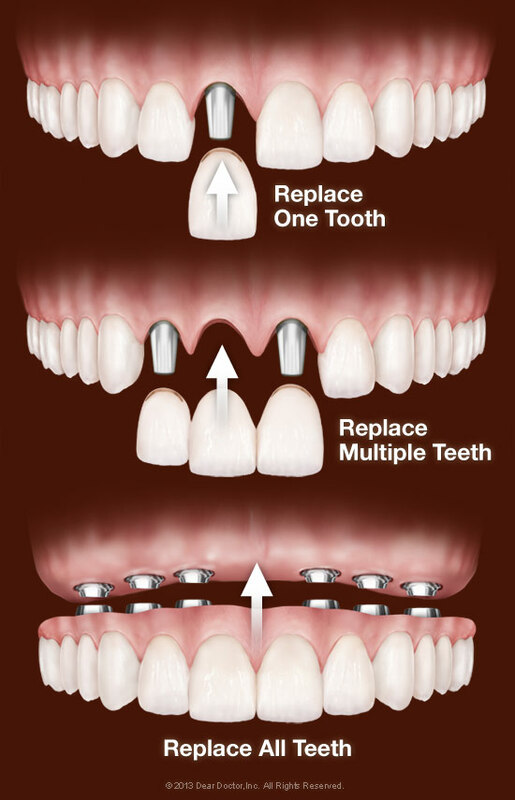 Mini implants may be used to replace a single tooth, create a bridge, or to secure that denture that always felt loose. If you have a fear of smiling or eating in public, dental implants may be your most cost effective and least invasive option. Dental implants can make speaking clearly and confidently effortless. Denture wearers, who use messy adhesives that alter the taste of food and make chewing a nightmare, will benefit greatly from mini implants. Most patients who wear dentures have some type of duodenal ulcer (stomach). Stomach ulcers occur in these patients do to over production of stomach acids necessary for breakdown of poorly chewed food. Stabilization of the denture will improve your diet and digestive system, contributing the healthy lifestyle we all strive for. Dental Implant placement has been the most significant advancement in the past 25 years of dentistry. Thousands of patients are grateful for the opportunity to replace missing teeth the most natural way by using dental implants, restoring their confidence, appearance, and lifestyle. Call us today at Corporate Center Dental Care for your implant consultation. Drs. Feck and Combs will help you decide how to restore your dental dream and your health! 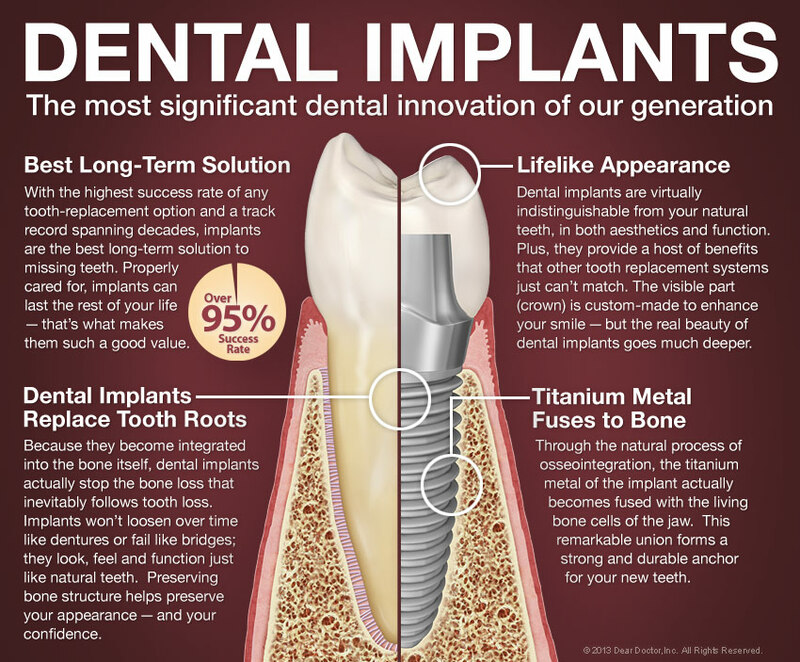 For more information on Implants in the Lexington, KY area call Corporate Center Dental Care at (859) 756-4411 today!